just found this video.. that was a really fun improv jam we did at symbiosis..
too bad jonah kai couldn't make it! he is the main force behind shamanic sound ceremony. 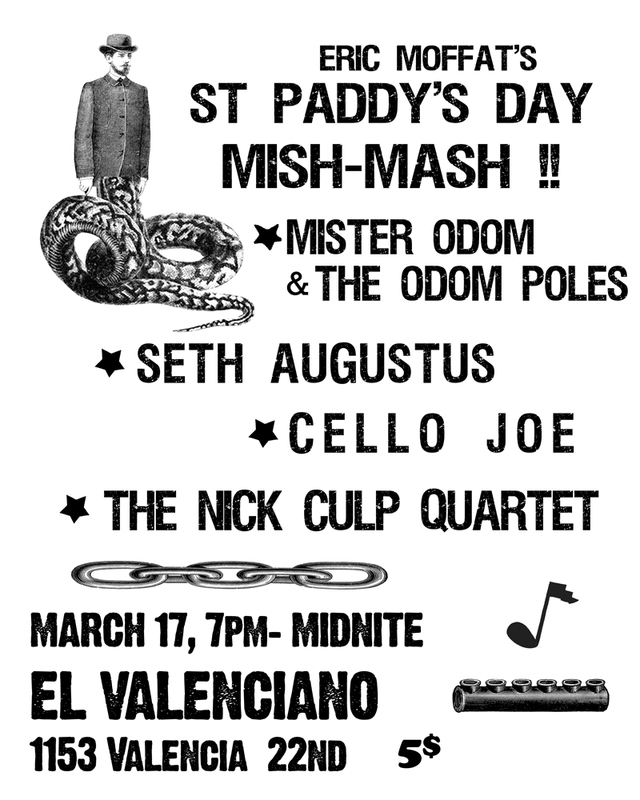 After a super long hiatus, the Cello Madness Congress reconvenes for the first time since Oct 27 2009! It's going to be absolute cello mayhem! For this event, we'll be teaming up with story tellers from the Eth-noh-tec Kinetic Story Theater. 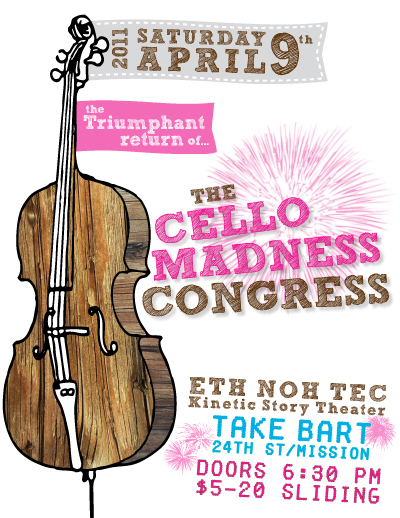 The Cello Madness Congress is a loose knit group of cellists from around the bay area (62 members strong and growing!) who get together to write a new constitution of what is possible with the violincello or 'cello for short. We play the instrument said to be most like the human voice and we create spontaneous, improvised, magical musical moments of pure ecstasy (the aural/auditory kind) that astound and amaze the listener's ear. We meet in the San Francisco Bay Area, the Bazaar Cafe in San Francisco and soon we'll be taking over the world. 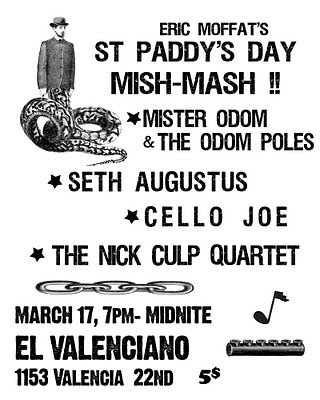 Mar 17 2011 Eric Moffat's St. Paddy's Day Mish Mash!